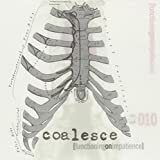 COALESCE THIS IS THE LAST LYRICS"
My throat falls numb from the endless execution of contempt's song. It fails to follow suit in silence even now. I can hear every word. Leave this place. i could fake some respect and hide the pity. For what i once feared is now somehow down on my level. I never claimed to see through another's eyes. I could never inflict such abuse upon myself honestly. Honest in a sense that i'm willing, but such intensity is dulled with age. Leaving me some spoiled child. I'll take it in stride, with every cheep shot landed. I took it without crying. I've always sang the cowards song. I've never claimed to be, anything but. to no longer hear the hisses of hatred ringing in my head. Selfishly sober in spite of you. I'll never be the man to which you compare me. Selfishly sober in spite of them. 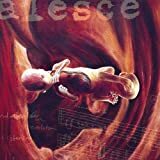 You boast i'm dead to you and i in turn agree. I turned a deaf ear on you, i knew the rest. Sob stories were never my strong suit. Now just as threatening as i'll let you be. I keep a short rope, and a shorter fuse. For the one who love's who? I won't leave this place. So boast i'm dead to you, with dying breath. I've tolerated your last death threat. and consider me dead...to you. 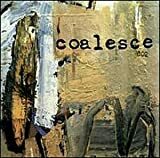 All Coalesce - This Is The Last lyrics are property and © copyright of their respective owners. All This Is The Last lyrics provided for educational purposes only.